We hit the first brick wall of Hellfire Citadel and were forced to consult outside the guild for some guidance. 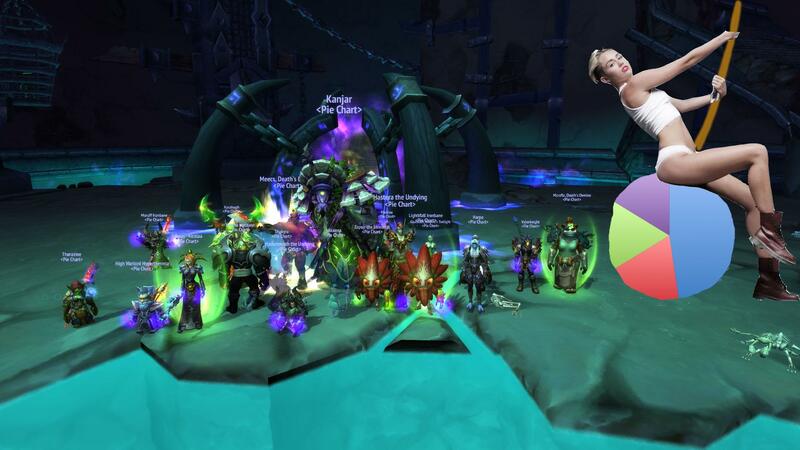 Thanks to the efforts of Miley-chan, we successfully broke through and even had enough time in the night to mop up Socrethar as well. Overall, a strong start that we can be proud of. With the second half of the instance to go, we must continue our stride and be the drill that will pierce the heavens of Draenor. The last bosses will be the true test of the tier and now is the time to prepare for the upcoming battle. And of course, a pie chart of Pie Chart. Can we take down that SS im not there. btw, did you fraps that moruff? or someone? Use one of these instead for Marozzi.